Not included. Envelope style 'B' and mailing tube & pullstring styles 'A' available. Basic custom imprint setup & PDF proof included! 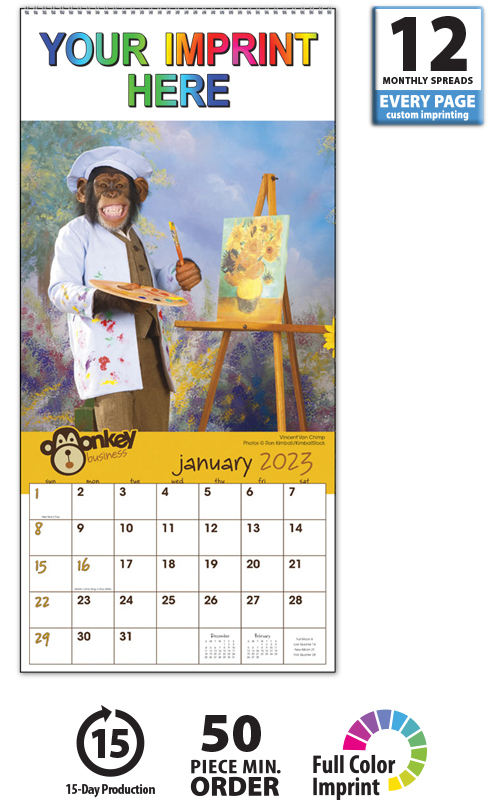 This executive 9" hanger calendar features funny monkeys that keep the laughs coming all year long. For a business that likes a little humor, this is the perfect calendar. 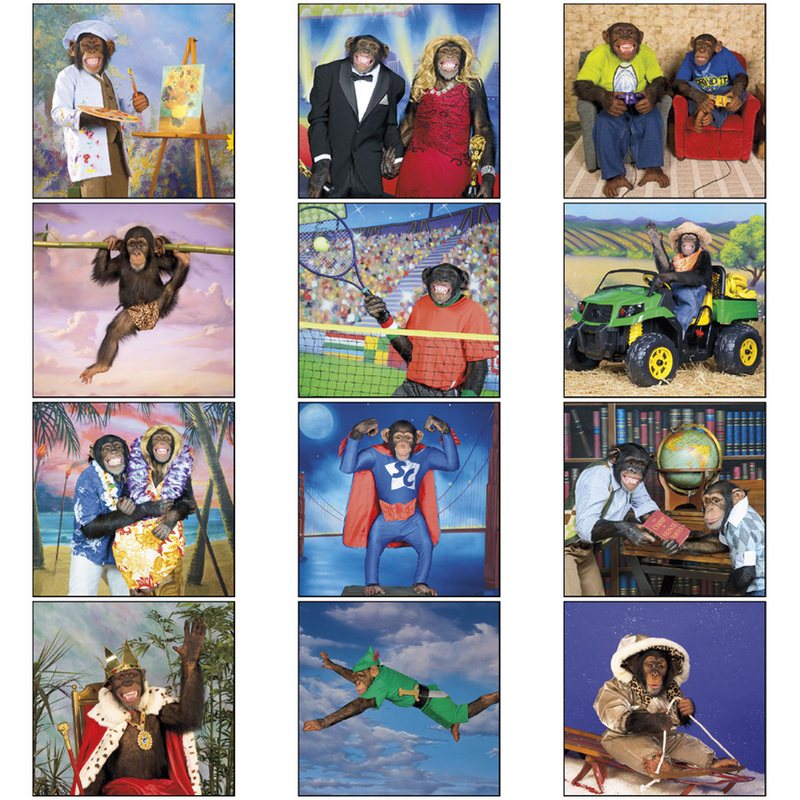 No matter who receives this calendar, they are sure to enjoy the monkey mischief shown each month. This calendar includes every sheet imprinting, top spiral binding with hole for hanging. 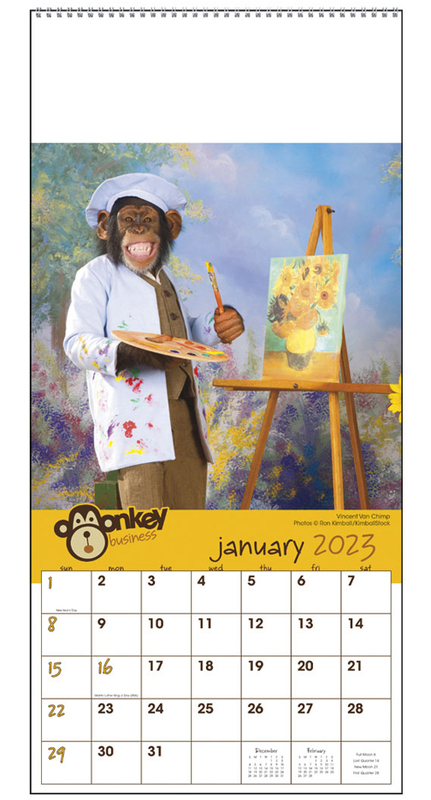 This high-quality executive monkey calendar will proudly display your message for the entire year!